Muertito Vivo at Glady’s Caribbean! Wooooooooooo! 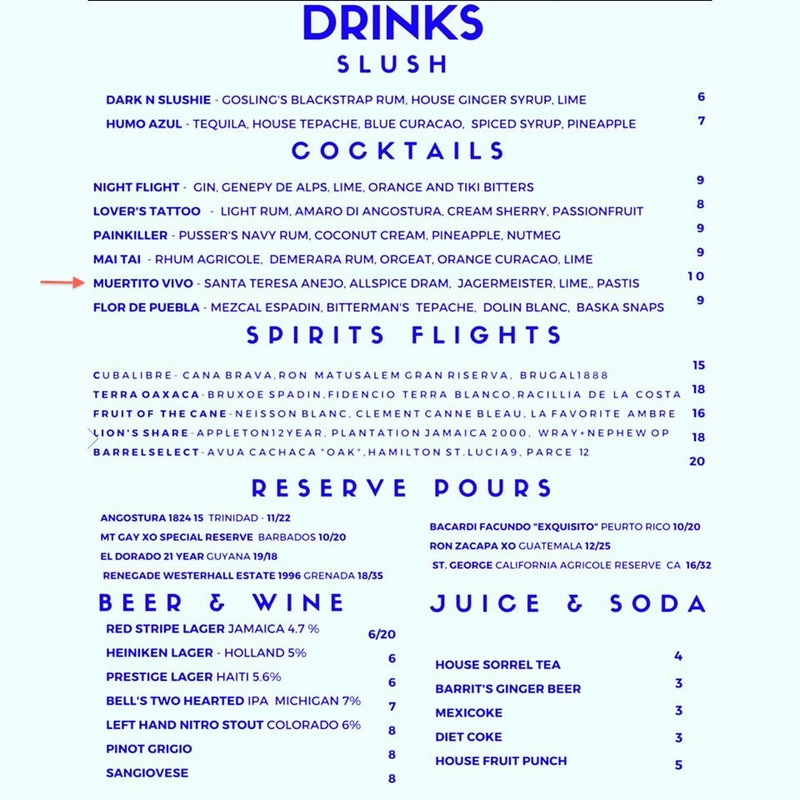 So a while back, Shannon Mustipher and I were working on Secret Tiki Drinks at Glady’s Caribbean, and now one of them is on the menu! 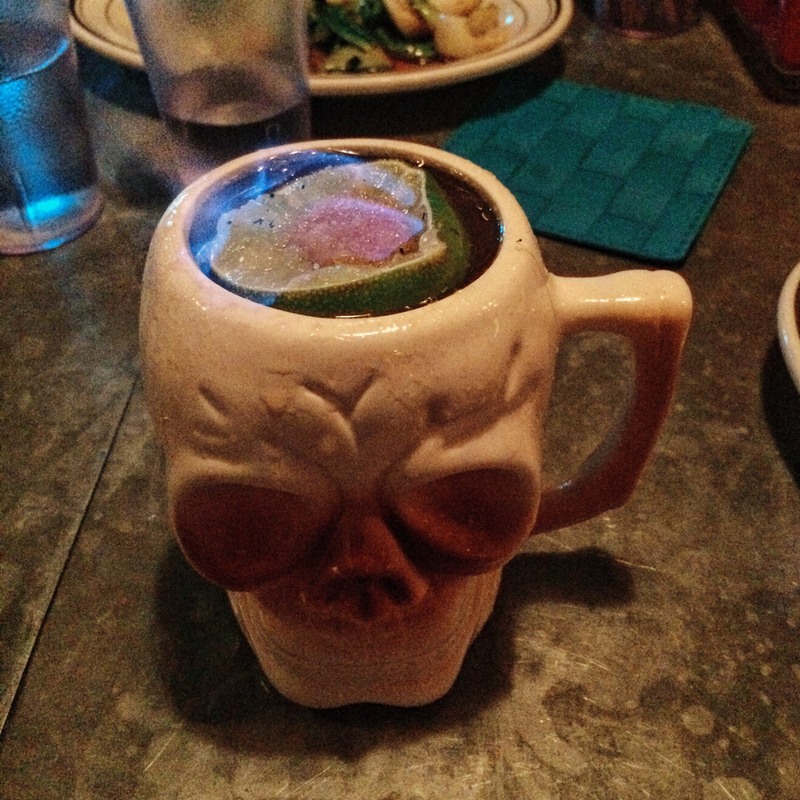 Muertito Vivo = Spiced Tiki and it’s just as interesting as you might imagine! The Jägermeister + Pastis makes this drink really intesting. It’s also really dry thanks to the Santa Teresa Rum + Allspice Dram + Lime juice, yet super refreshing! Let’s not forget, TIKI FLAAAAAME! 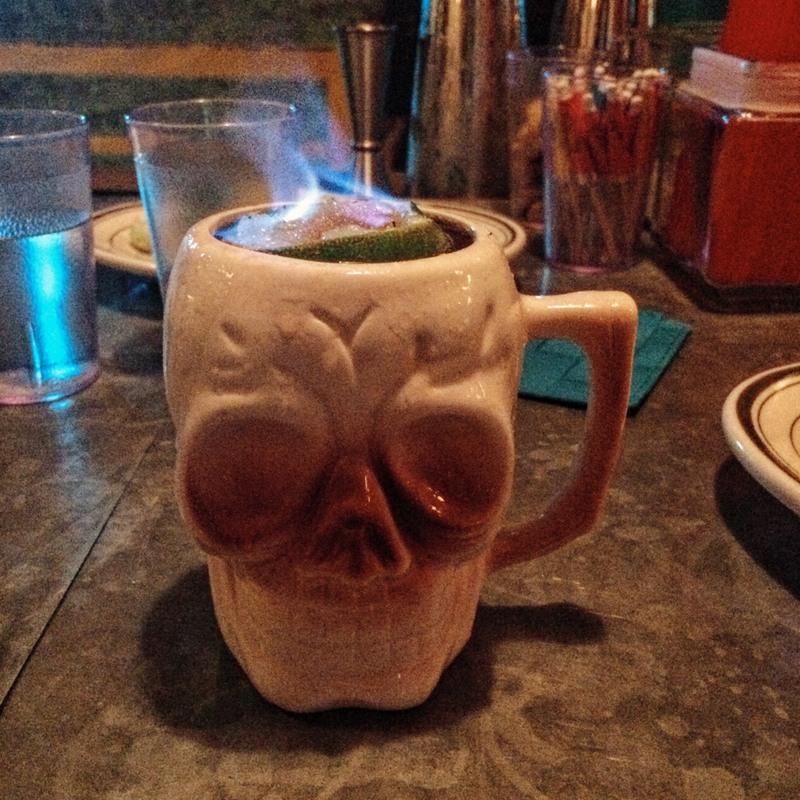 If you live anywhere near NYC, stop by Glady’s Caribbean in Crown Heights, Brooklyn for Muertito Vivo and some of the best Rum Cocktails ever!